This quilt is perfect for a sweet little girl! It's machine pieced and custom machine quilted. 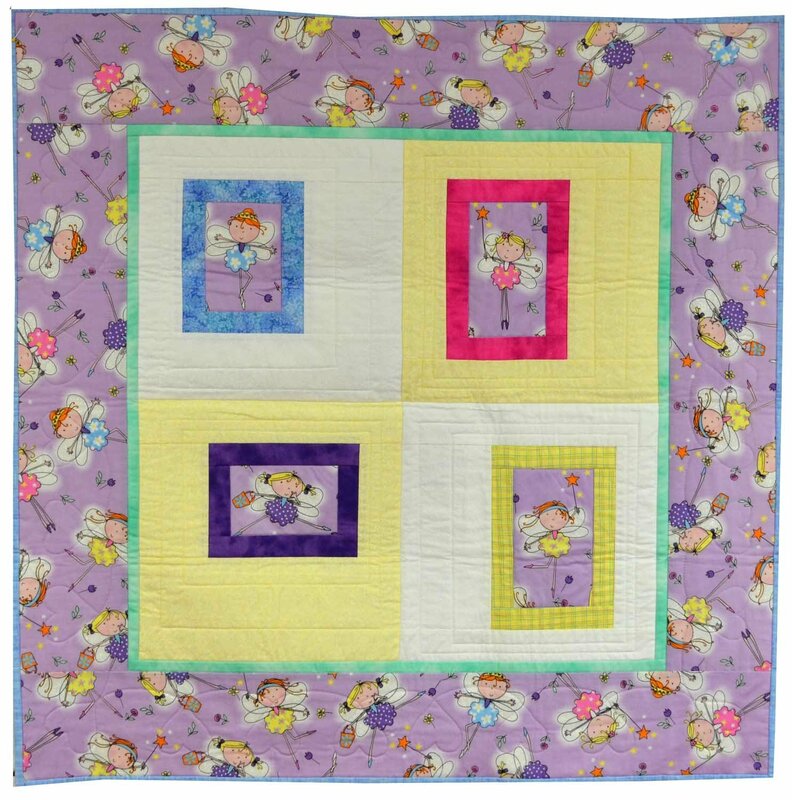 Fairies abound in this sweet little baby quilt! It's a perfect gift for the lovely little girl in your life. It's machine washable, so it will stand up to lots of use.